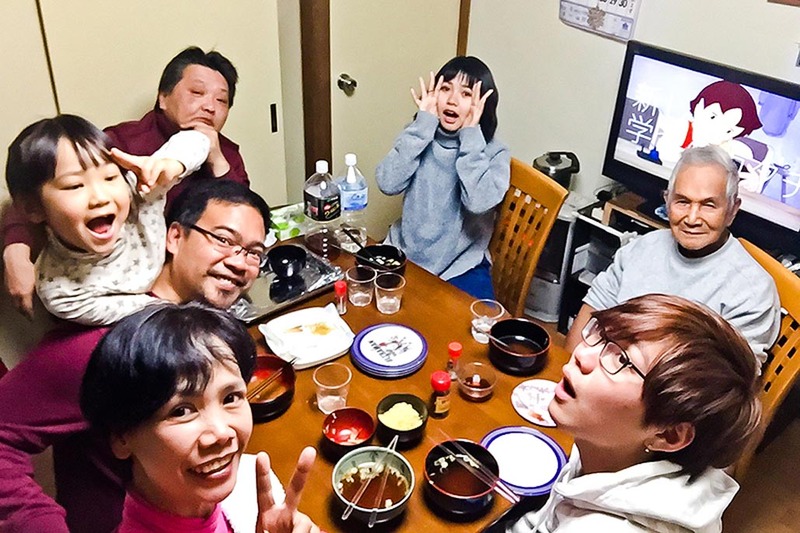 Noel Cabacungan visited his sister in Japan and experienced very unique Japanese New Year Traditions. 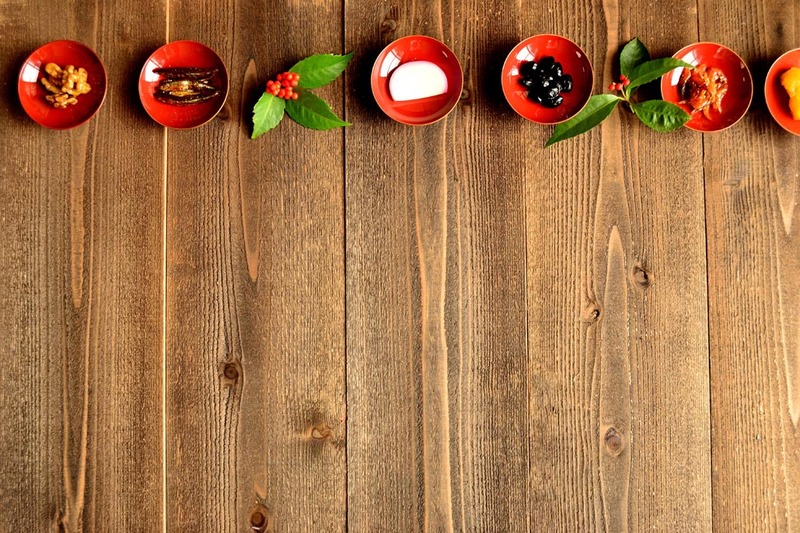 There are many different customs and traditions that make New Year's in Japan special and fascinating. 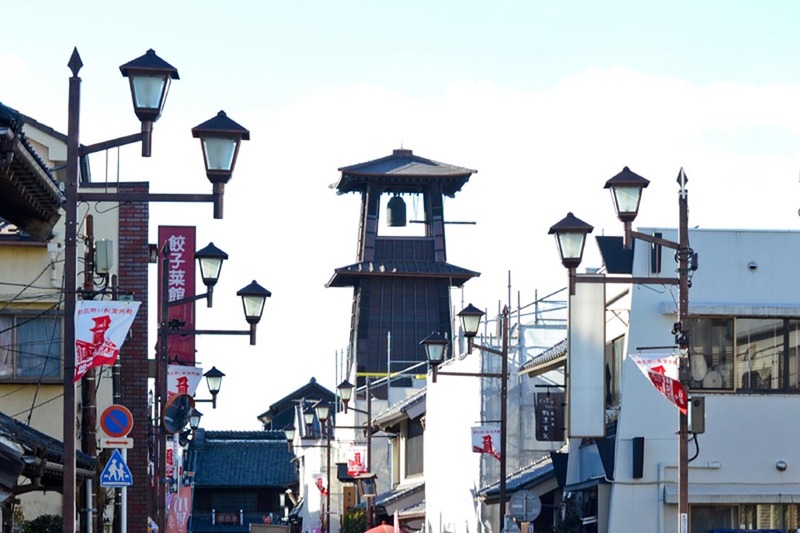 My father and I flew to Japan to spend Christmas and New Year with my sister and her family in Kawagoe last year. And while the absence of fireworks on new year's eve threw me off my senses, the fascinating Japanese New Year traditions more than made up for the sudden change in the celebrations. The welcoming of the New Year in Japan involves deep cleansing, resolute silence, symbolic food, and the welcoming of the gods. 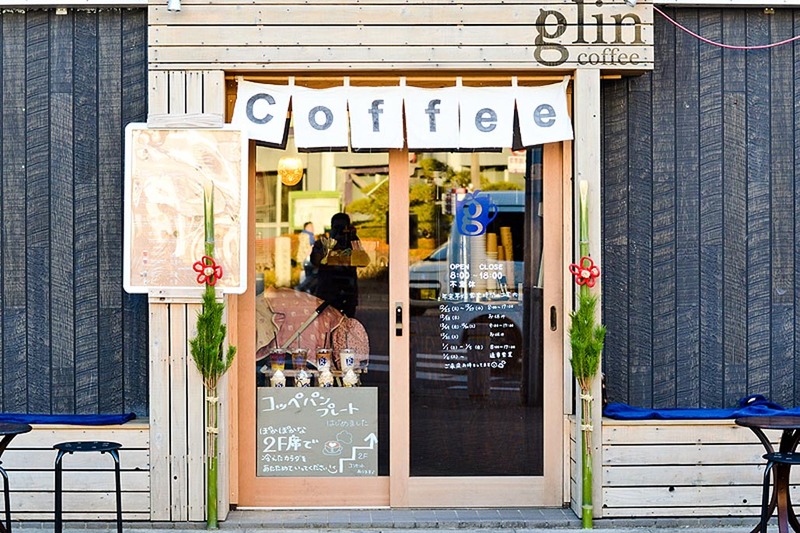 The Japanese believe in the importance of welcoming the new year with a clean slate. A few days before the year ends, major house cleaning happens in every household. This is the perfect time to clean the light fixtures, furniture, and heavy appliances usually untouched during regular house cleanings. The same is true among commercial establishments. Merchants take this opportunity to clear old inventory by offering fukubukuro or lucky bags. The number of items stuffed on the mystery grab bags are usually worth more than 50% of the original shelf price. Visit your favorite shops to avail of these surprise goodies if you would not mind the long lines. While noisemakers are an integral part of new year's eve celebrations in many parts of the world, the Japanese extremely discourage any form of noise-making on New Year's Eve. In fact, the police are busy patrolling their localities at this time of the year in to maintain peace and silence. “Joya no Kane” is the only desirable loud sound on New Year's Eve. It is a Buddhist tradition of banging the temple bell 108 times to welcome the new year. This practice originated from the belief that there are 108 types of unnecessary emotions (Bonno) in the world such as anger, grudge, and discord, among others. Buddhist monks alternately strike the bell from 11:00 p.m., with the final strike coinciding with the New Year, signifying the need to leave those emotions behind. Fireworks are big in Japan during the summer but not on New Year's Eve. Having said that, there are a lot of commercialized or westernized districts in Japan where one may experience the New Year's Eve fireworks and countdown parties. Roppongi and Shibuya in Tokyo are two of the most popular ones. Traditionally, people in Japan start displaying shimekazari and kadomatsu charms on the latter part of December but I already started noticing a few as early as our arrival in Japan on December third. A shimekazari is a wreath made of straw rope, Shinto ritual paper strips, bitter oranges, and fern leaves. 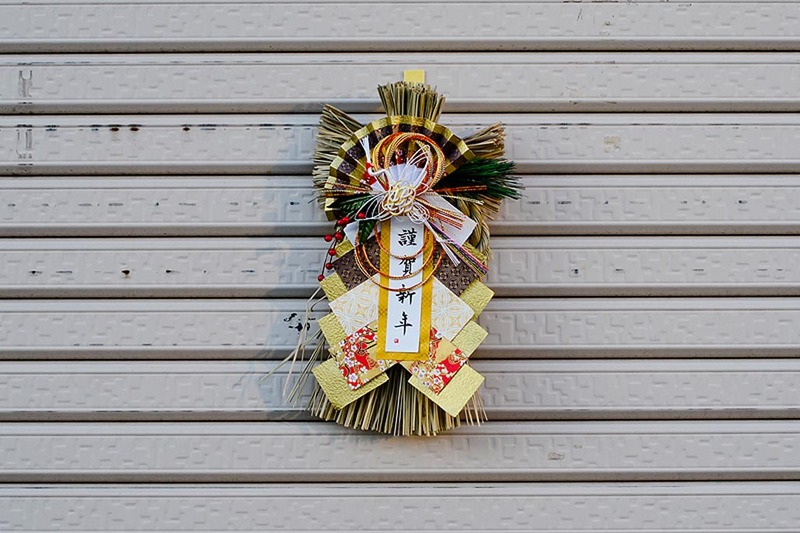 People hang these ornaments on doors to ward off evil spirits and, at the same time, invite the New Year deity. Kadomatsu, literally “pine gate,” are pairs of ornaments that people place on both sides of the house or store entrances to invite the god of harvest and other ancestral deities. These are made of pine branches, bamboo stems, and plum tree twigs fashioned in the style of ikebana, the Japanese art of flower arrangement. Kagami-mochi or “mirror rice cakes” is a stack of two round rice cakes (the smaller on top of the larger) and a bitter orange with a leaf still attached. Displaying them inside the house invokes the gods to protect the house from burning in the coming year. The availability of plastic replicas in stores and supermarkets make it a popular option for many households compared to hand-made ones. All these ornaments remain on display until the 7th of January, the day when the new year deity is believed to depart from their new year visit. Toshikoshi soba is a simple dish of buckwheat noodles consumed as the last meal of the year. The long strands of noodles symbolize the wish for a long life, while the firmness to the bite and ease of cutting of soba are associated with the intent to “break off the year” with ease. Which is why it has to be the last meal of the year and must never be eaten during midnight as it invites bad luck when you “break off the year” but pass it over to the new year. Again, coming from a place where the new year is welcomed with extravagant meals, partaking in the toshikoshi-soba tradition elicits a major culture clash. Especially when there is an elegant multi-tiered box of food waiting, but must remain untouched, at the center table. 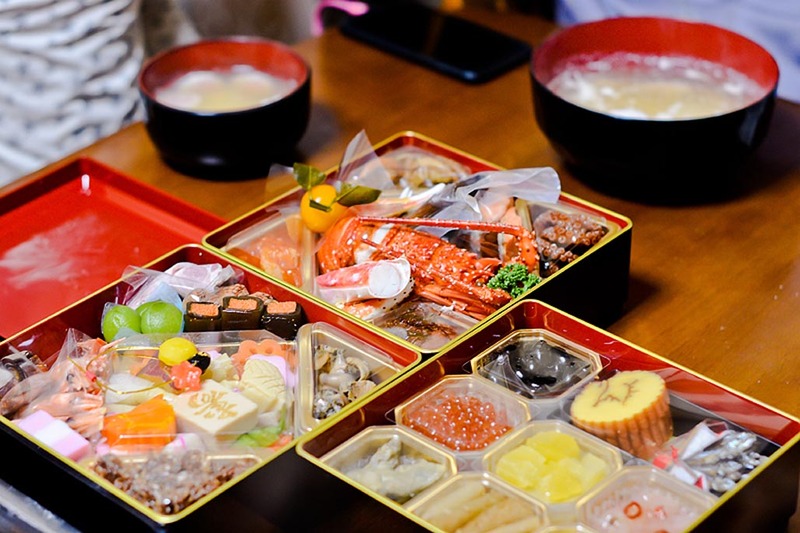 Osechi Ryori is a set of small servings of various Japanese dishes contained in three to four layers of bento box known as jubako. It is placed in the middle of the table on new year's eve but only to be served to the whole family on the first meal of the new year (in our case, late brunch). 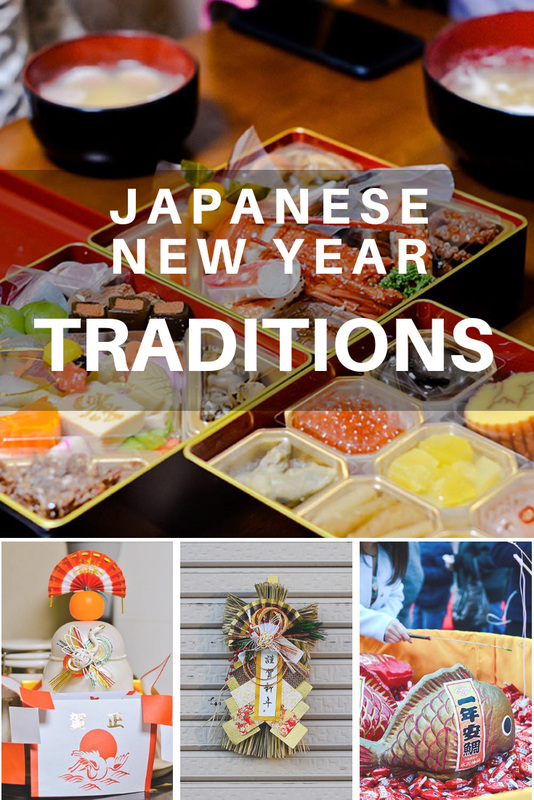 Each dish contained in the jubako represents a particular wish for the new year — salmon roe for healthy babies, datemaki for academic excellence, and sliced lotus roots for good foresight, among others. Another dish served on the first day of the new year is the Ozoni. It is a soup with slices of rice cakes and other local produce. The dish is also associated with the idea of “starting the year with a clean slate” being a dish prepared with a single pot. Japanese traditions entail avoidance of heavy works during the first few days of the new year and following that goal, Ozoni is a dish that is only prepared once and can be served for up to several days by just reheating. The Japanese are fond of celebrating the first activities during the new year — first meal, first sound of the bell, first dream of the year. It is believed that the appreciation of the firsts in all these things will eventually lead to a better fortune. 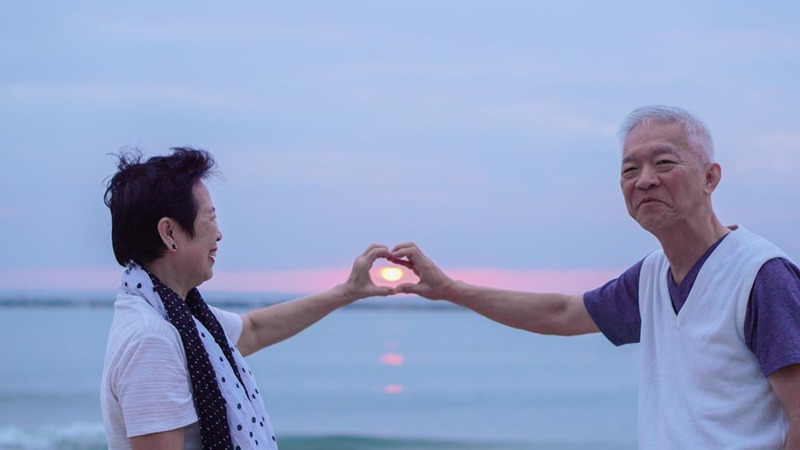 Including the first sunrise of the year, Hatsuhinode. People in Japan get out of the bed very early in the morning to catch the Ftheplanetd.com/kamakura-travel-guide/”>first sunrise of the year. Who wouldn't want to experience the glory of the sun peaking through the mountains or clouds? 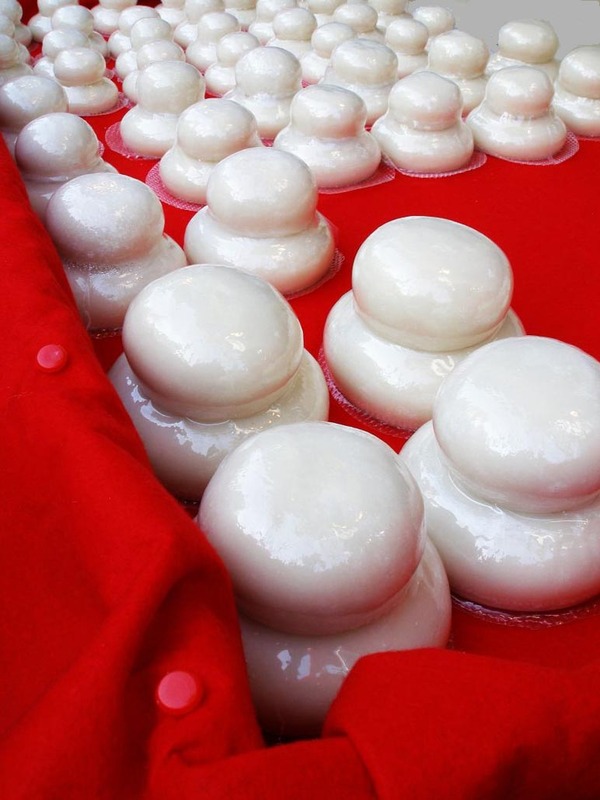 But more than anything, Hatsuhinode represents a new hope and spiritual renewal for the new year. We were discussing going for Hatsuhinode in a nearby park but, us being us, we woke up just in time for brunch. No greeting the first sunrise of the new year for us. Hatsumode is the first visit to a shrine in the new year. All members of the family come together to visit a shrine to pray to the deities for spiritual blessings and good fortune. Shrines are usually very crowded during the first three days but the visits may continue up to the seventh day, the new year deity's departure. For someone who finds joy in seeing a thick crowd for as long as I do not have to be part of a queue, Hatsumode instantly became my favorite of all the Japanese New Year traditions. We intended to visit the Kawagoe Hikawa Shrine but because of the thick crowd and full parking space, we visited the Kitain Temple instead. Hatsumode is usually done in Shinto shrines but visiting a Buddhist temple is allowed, too. Acquisitions of good luck charms called omamori are also popular during the first seven days of the new year. Simultaneously, major shrines and temples collect old charms from the previous year for the ceremonial burning. A year of bad luck awaits those who keep old charms for another year. Omikuji or fortune lottery are fortune-telling papers found in shrines and temples all over Japan. If the fortune you received is a good one, keep in for the rest of the year. Otherwise, tie it at the shrine or temple so you won't have to carry the bad luck throughout the year. 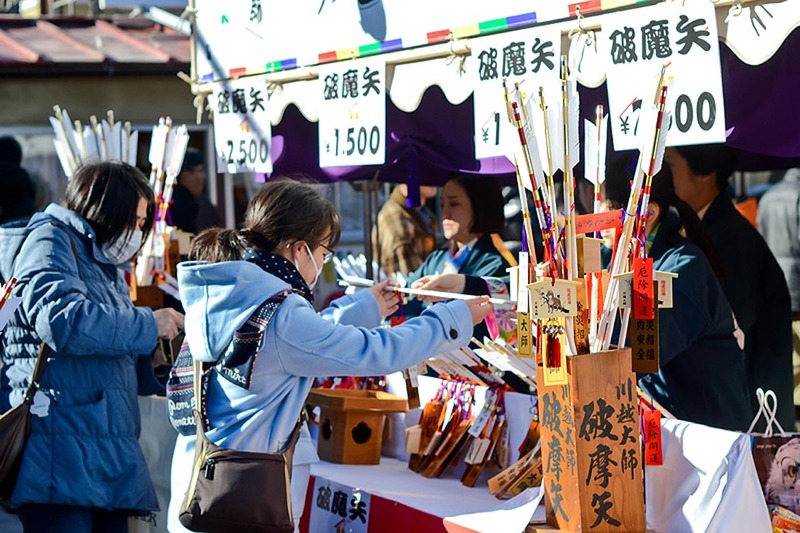 At the Kawagoe Hikawa Shrine, a Shinto shrine in Kawagoe where a family of five deities resides, there is a more popular way to acquire a fortune lottery. 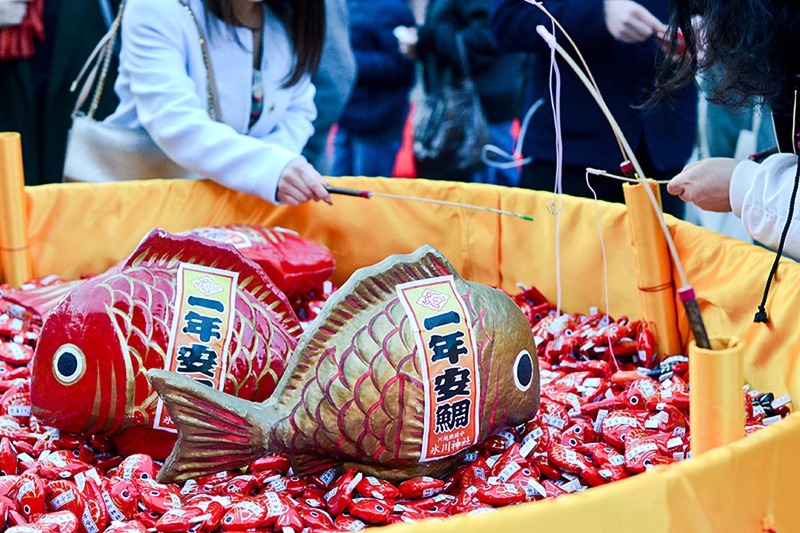 Aitai mikuji is a form of fortune-telling by fishing red paper seabreams containing your fortune. And since you're receiving a fortune form the deities of love, getting a good luck increases your chance of encountering THE ONE. 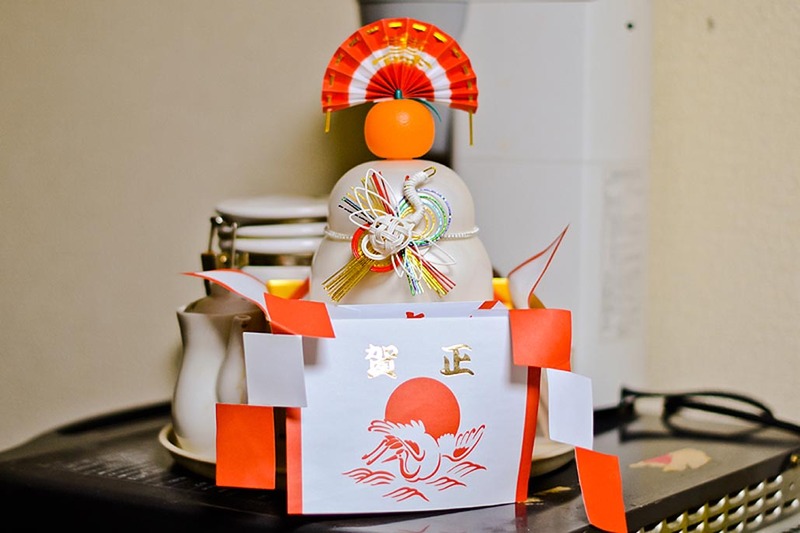 These are the popular Japanese traditions practiced in observance of the new year. 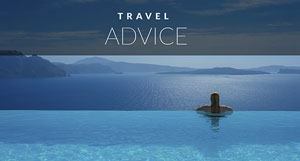 They may have originated from common principles but the practice varies widely across regions. Similarly, there are a few other traditions that are not popular throughout Japan but are particular to some regions and family traditions. 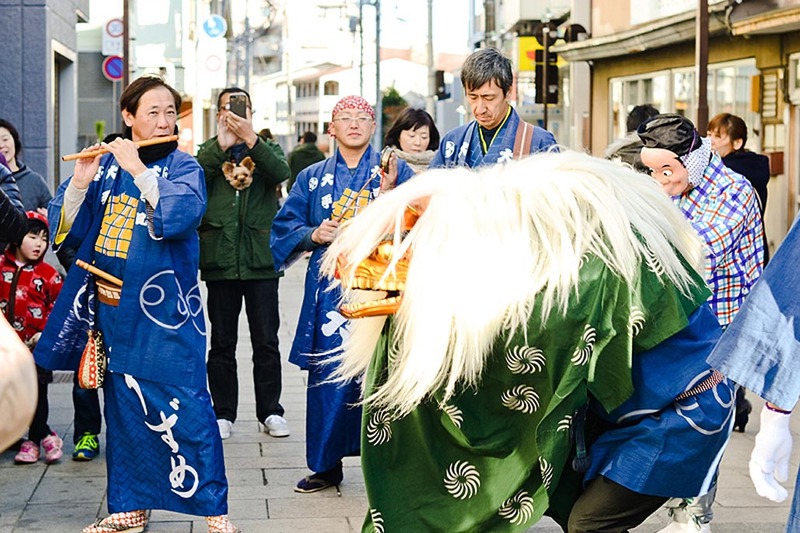 I'm leaving you with a video of Shishimai, a traditional lion dance performed to bring good luck in the year ahead. Akemashite omedetou gozaimasu! That means “Happy New Year” in Japanese. If the dancing lion approaches you, bow down and let it bite you in the head for good luck! Noel Cabacungan is a Filipino expat in a hard-core manufacturing company in Jeddah, Saudi Arabia. For over seven years, he attends to his work every day of every week, except on Muslim holidays and during his yearly vacation of up to 75 straight days in the months of his choosing. 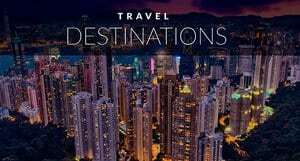 In the competition for the most number of places visited in one's lifetime, you can find him among the lasts in the line as he's inclined to keep coming back to places he really likes. He's been to Hangzhou, China thrice, to Kawagoe, Japan thrice, and to Abha, Saudi Arabia twice and still plans to come back for more. 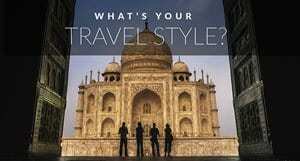 His ultimate travel goal is to gawk at the Hagia Sophia and Sultan Ahmed Mosque in person for days but due to a weak passport, he has to split a handful of gray hair to pull a travel visa (which is something he's really aiming for). In alphabetical order, his five favorite things are autumn leaves, camping, noodles, Star Wars, and The Architect's Apprentice by Elif Shafak. 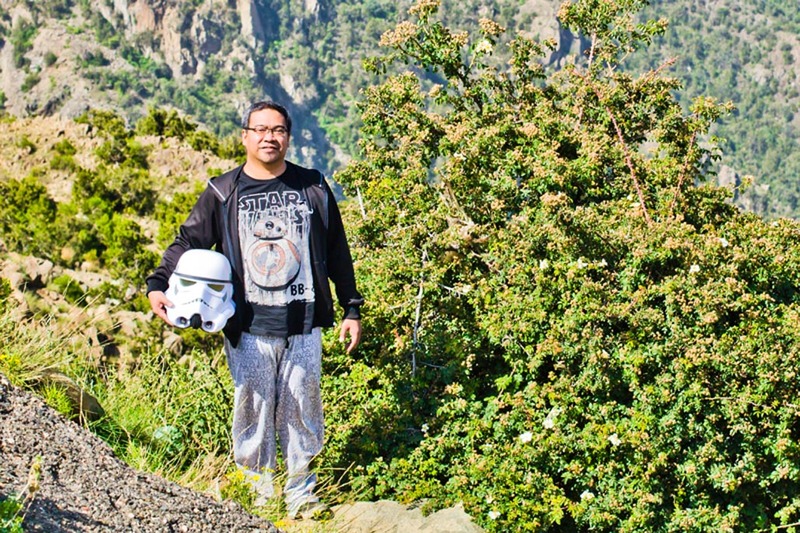 He authors the blog, Ten Thousand Strangers, while his fictional Stormtrooper alter-ego manages his Facebook, Instagram, and YouTubeaccounts. 7 Responses to "7 Unique Japanese New Year Traditions"
They really seem to know how to celebrate new years! I hope I get to go there sometime. Japan is an island nation in the Pacific Ocean with dense cities, I love to go there on my next holiday. Wow! There is so much information here about Japanese traditions. Loved that you have taken the effort to explain even the smallest thing in detail. 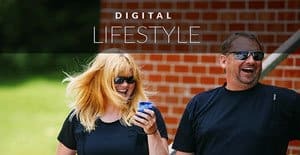 Thank you so much for sharing this article. Splendid work! Nice information about the japan new cultures and traditions given. Loved it absolutely. Superb article. Keep it going.